Supports better sleep, a clearer mind, improved focus, fewer headaches and an overall feeling of bouncingly colorful, wonderful energy! bio CLIP: A ready to wear bio DOT option, clip to a belt loop, bra strap or pop it in your pocket smart DOT: Stick to your wireless items, priorities: mobile phones, Wi-Fi, cordless phones, tablets, baby monitors etc. Recharge your battery by wearing a bio CLIP. A bio DOT is affixed to the reverse of the metal disk which can be clipped to any item of clothing, belt loop and bra straps. The bio CLIP comes in four colors, pink, blue, dark grey and white. Bio DOT is powered by phi technology. It holds and radiates a natural energy signature which continuously retunes and revives your energy field. A truly cost effective way to beat the ‘energy blues’ and get the most out of your day. bio DOT is the personal DOT. The DOT for you to wear. It is programmed with powerful resonant Phi Technology. The natural, coherent frequencies used in this programming harmonize or retune your energy field. They remind your energy field of its optimal state, making it more coherent and resilient. It is like recharging your battery, restoring and rebalancing your energy. Ideally wear your bio DOT all the time – day and night. The bio DOT can be used by adults (including pregnant women), children, babies, pets and even plants. 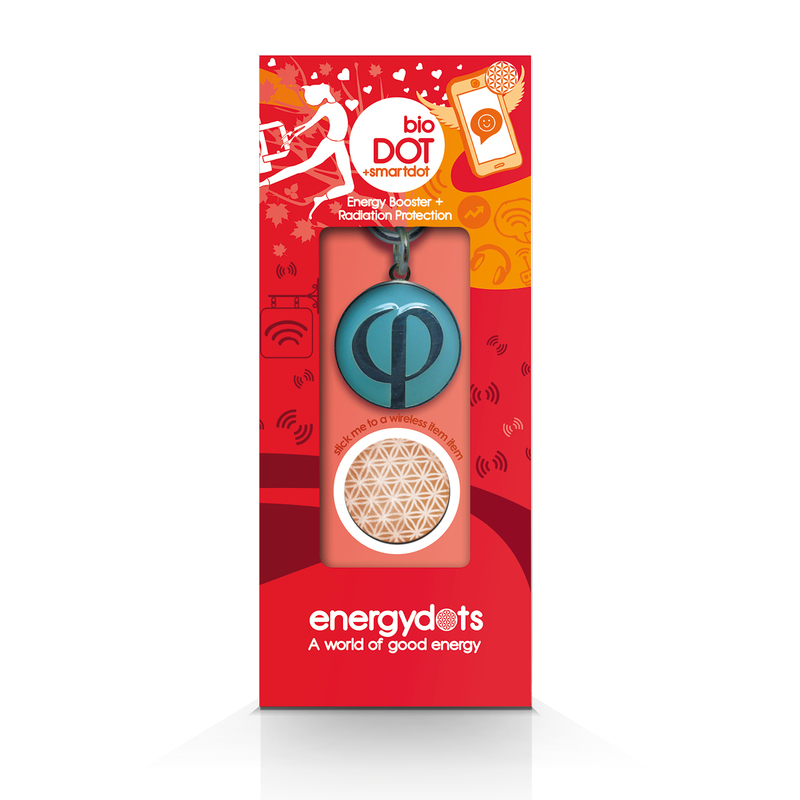 The energetic programming is not affected by water so you can wear your bio DOT in the shower, bath or pool. Includes a smart DOT for your mobile, computer, tablet or Wi-Fi router. smart DOT is programmed to harmonize or retune the electromagnetic frequencies from the electronic equipment you use regularly. Each cell in our body acts like an antenna, an extremely sensitive transmitter of electromagnetic radiation; the body will thus ‘pick up’ and react to any such field to which it is exposed. Retune these fields and enable the body to relax.